We went on the U.S. military base today for the quarterly “Fleischfest” barbecue where a bunch of the embassy guys and gals cook up delicious American style barbecue meat on the grill. 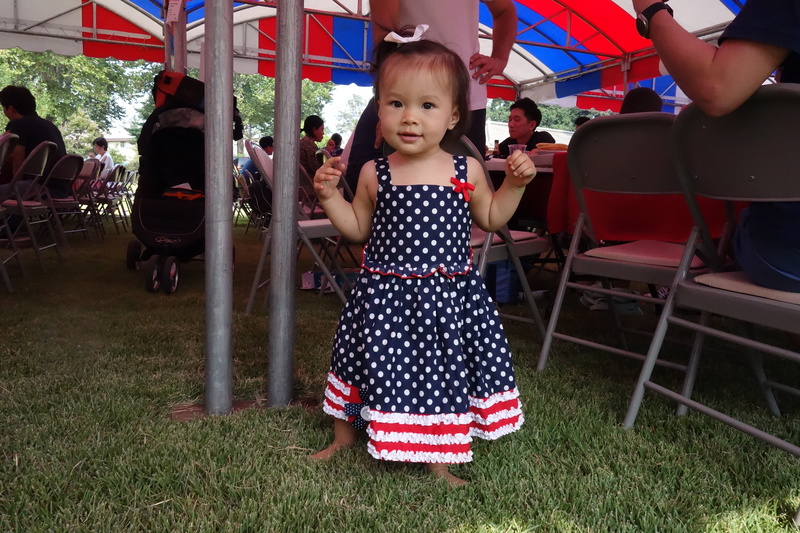 Isa and her sister both got into their patriotic dresses for the event. Now that Isa is a comfortable walker, she loved walking around barefoot in the grass.